What is a Collaborative Workplace? 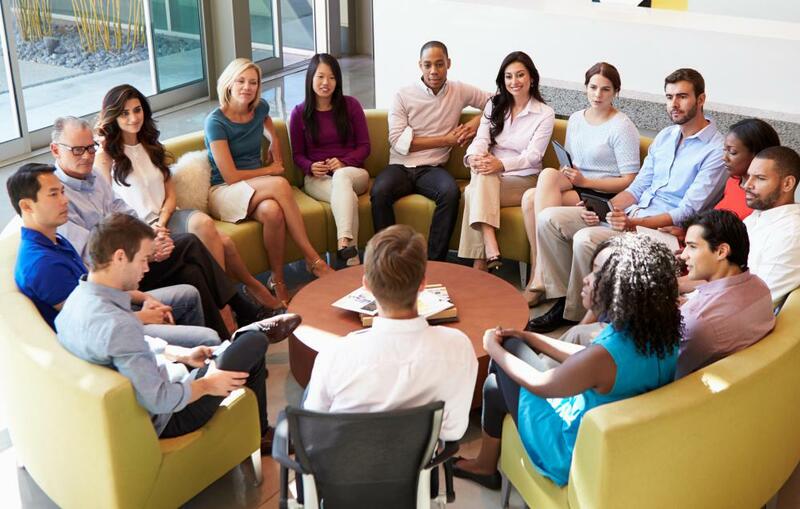 Collaborative workplaces may host an internet forum were co-workers can post ideas and resources to share. Collaborative workplaces could prove more innovative. Working as a team is encouraged in a collaborative workplace. 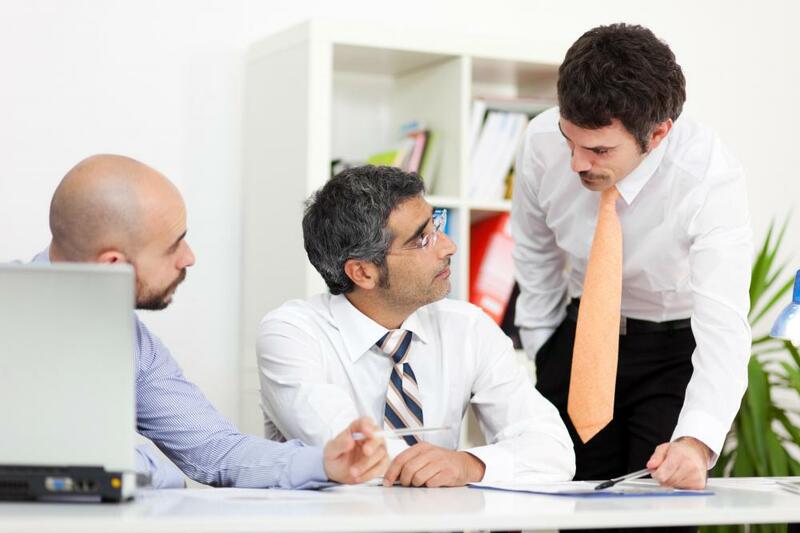 Regular meetings with the entire staff is common in a collaborative workplace. A collaborative workplace is a space where people are encouraged to work cooperatively on projects, supporting each other in accomplishing personal, as well as company, goals. Greater and lesser degrees of collaboration are available in such workspaces, facilitated with the use of technology, spatial design to facilitate clear communication, and workshops designed to help people learn how to collaborate on work projects. Working in a collaborative workplace can have a number of advantages to individual employees, as well as benefiting the company itself. 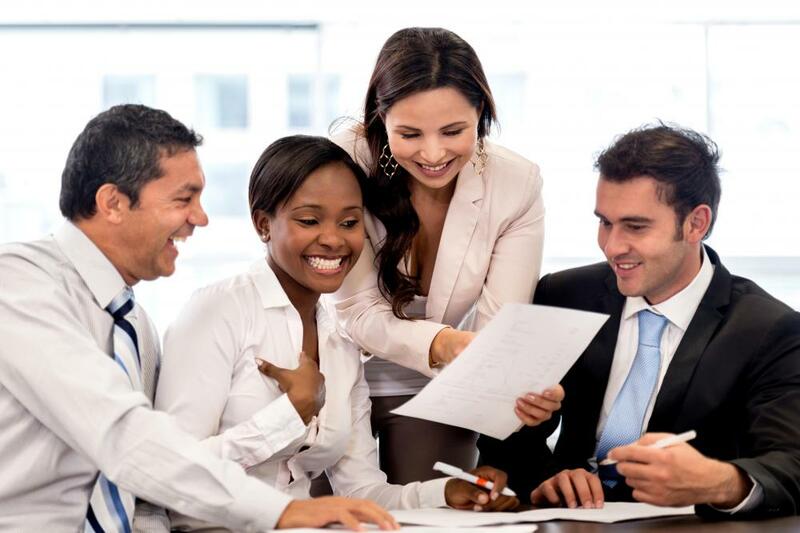 In a collaborative workplace, employees work together on identifying and solving problems, completing projects, and developing new ideas for the company. Real time collaboration is available in meetings and via electronic means like chatting and document sharing. People can also collaborate asynchronously through email and other means of communication, where ideas bounce back and forth between people over time. People in such workplaces are encouraged to trust each other and build partnerships. The company may resist a rigid hierarchical structure to encourage people to collaborate across normal boundaries. In groups, for example, a rotating leader may be used instead of having a team leader appointed. This facilitates the free exchange of information and ideas in the collaborative workplace. It is common to use an open plan office so people can move freely and see each other at work, and people may also rotate desks and offices to become acquainted with different co-workers and spaces while they work. For employees, access to collaboration can provide people with support for projects, as well as ideas and thoughts from people they might not otherwise interact with. Collaboration may help identify problems before they become serious and can speed the process of resolving these problems by combining skills, experience, and interests from multiple people. Learning to delegate tasks and work in groups can also increase efficiency; a project that would be difficult for a single person to complete can become much easier when broken up into manageable chunks that are assigned to different people. Employers may find that a collaborative workplace encourages innovation. Employees can take more initiative on ideas they have for improving products and services in a workplace where everyone's input is valued and encouraged. Groups can also come up with ideas that individuals might not have considered or developed on their own. The cooperative aspect of the workplace can also promote company loyalty, make people feel more attached to the workplace, and encourage people to work together through conflicts and difficult business climates. What Is Computer Supported Cooperative Work? What are the Different Types of Collaboration Tools? What are the Different Types of Collaborative Systems? What is Collaborative Online Learning?